There are over a thousand historic windmills in Estonia, Finland and Sweden. This report is about the three different types of windmills and about the work that was done in the process of repairing the wind shaft and the sails of a smock mill on Gotland. The project Traditional Wooden and Masonry Structures in the Baltic Sea Region is designed for students of building conservation, conservation of artefacts, structural engineers and site management from three universities in Sweden, Estonia and Finland in order to give them the opportunity to learn about the traditional materials in different parts of buildings. The technique of grinding corn into flour by using wind power to turn a circular stone died long ago but the ingenuity of the machinery keeps us fascinated just like old cars or engines do. The fact that these machines are made by hand out of wood and that not two windmills are alike makes them all the more interesting. 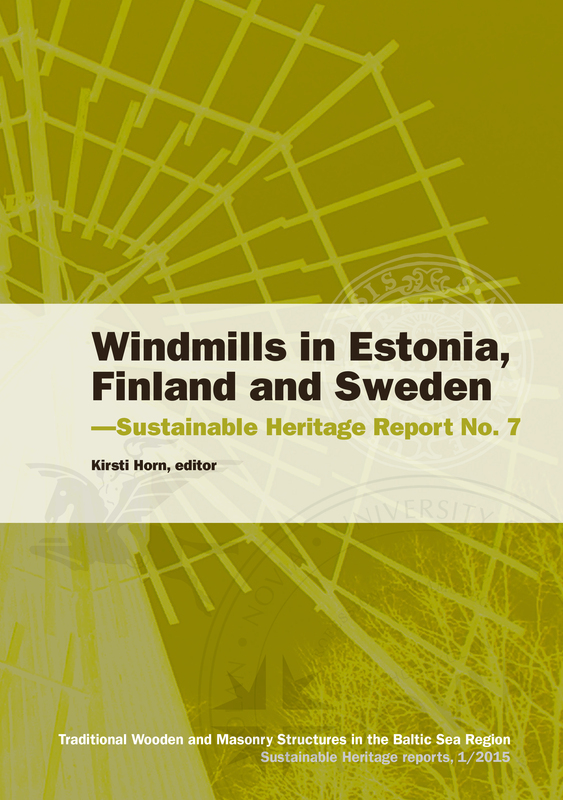 This report deals with historic windmills in Estonia, Finland and Sweden. An interest in windmills was awakened among the participants of the 10th Sustainable Heritage intensive course which took place on Gotland in spring 2014. This report is the result of student work from all three involved countries and universities, Estonian Academy of Arts, Uppsala University and Novia University of Applied Sciences. The research concerning Finnish windmills was carried out by the editor. In the report the description of work and experiences during the intensive course in April 2014 is followed by a summary concerning windmills in Estonia and Finland, and finally, by examples of each main type of windmill that can be found around the Baltic Sea.